Pink is my signature color. I just love pink (in careful moderation, however.) Last time I was in D.C., my friend Ann presented me with a roll of pink Duck Tape. 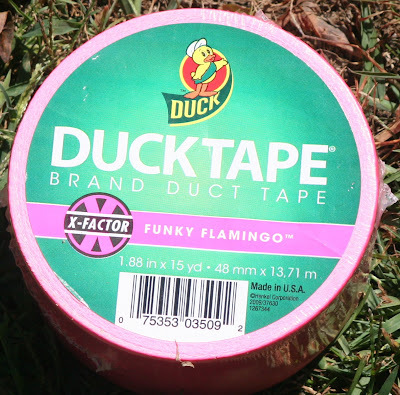 Actually, to be perfectly correct it was a roll of Funky Flamingo Duck Tape. I have been making lists of things to do with it and I am totally motivated to take hostages.